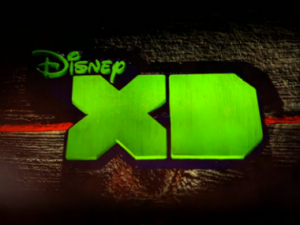 The following are highlights for Disney XD’s Halloween line-up…. Wyatt and Crash are excited for Halloween until Gretchen, now the head of the Pauling Organization of Parents, implements a series of rules that turns the school into a Halloween-free zone. Wyatt vows to turn the tables on Gretchen and save Halloween. Despite Milton’s objections, the gang decides to throw a Halloween party at the temple while the monks are out of town. When the gang teases Milton for being a wet blanket, their words come back to haunt them as he’s taken over by a hard partying spirit that has been locked in the temple basement for 1,000 years. Meanwhile, Rudy and Sam try to help Bobby overcome his fears by taking him to a “haunted” kiddie corn maze. Oliver must follow through with creating a Frankenstein-inspired play when his dad becomes curious about where he goes every day after school. Meanwhile, Kaz and Skylar embark on a mission to uncover the mystery behind the disappearance of the superhero, Brain Matter. When Leo discovers that his nemesis Trent is rattled about a ghostly legend at Mission Creek High, he masterminds a plan for Chase and Adam to use their bionics to stage a haunting at the school. In the process the boys come to fear that the ghostly legend may in fact be real. Halloween episodes from Disney XD series will also be available in WATCH Disney XD during the month of October.